Colonel Allan Richard Halfper was born in Yorkshire England on 23 June 1950. He moved to Canada with his family in 1962. He attended high school at Kennedy Collegiate in Windsor where he rose to second in command of the schools army cadet corps. He received a Bachelors of Science degree (Honours Biology) from the University of Windsor and later attended the Faculty of Education at the University of Western Ontario. Colonel Halfper is currently the Principal of Leamington District High School. Colonel Halfper’s Military career started in May 1966 when he joined the Windsor Regiment (RCAC) as a trooper. He rose to the rank of sergeant and was commissioned from the ranks in 1971. Over the next few years Colonel Halfper served in all the major regimental appointments and also spent some time at the District Headquarters as the SSO Ops and Tng (G3). In February 1987, he was promoted to Lieutenant Colonel and appointed commanding officer of the Windsors. 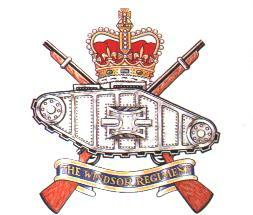 During each year of his command, the Windsor Regiment was awarded the Cumberland Trophy as the most effective armoured unit in Central Area. In the final year of his command, the Windsors won the Worthington Trophy, indicating that they were the best armoured unit in Canada. After 3 years of retirement, Colonel Halfper returned to command his unit for a second time. This second command lasted until October 1996, when he accepted the position of Deputy Chief of Staff (Operations) at London District Headquarters. 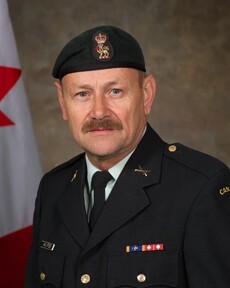 On 17 April 1997, he was appointed Deputy Commander of the newly formed 31 Canadian Brigade Group. His promotion to the rank of Colonel took place on 31 July 1998, when he became the Brigade Commander of 31 CBG. After 3 years of successful command, Colonel Halfper was appointed Assistant Chief of Staff of Land Force Central Area. Colonel Halfper was awarded the OMM in January 2002. Colonel Halfper lives with his wife, Sue, in Southern Ontario, where Sue manages their small horse farm and kennel. Their two adult children, Matthew and Jennifer, live and work nearby.